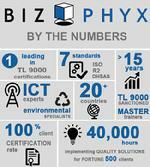 BIZPHYX is led by a team of executives with over 100+ years of combined ICT, telecom and quality management experience. Nationally recognized as TL 9000 Experts, BIZPHYX has the distinction of having QuEST Forum Fellows and TL 9000 Experts on staff, and an Environmental Specialist (CES). 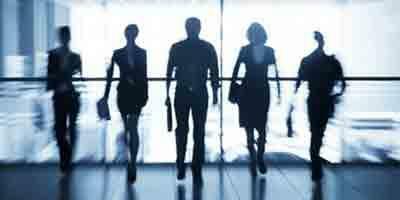 We are published, subject matter experts and several BIZPHYX executives have served on influential committees of some of the nation's leading quality organizations. Our years of experience allow us to deliver results through a range quality management solutions from implementing quality systems to internal auditing and training, customized to meet the needs of each client. This level of expertise translates into results for our clients, as evidenced by an unprecedented 100% client certification rate. Our goal? To deliver quality management solutions that allow you to meet supply chain requirements, improve your bottom line and help you keep your customers for life. the world from Europe to Saudi Arabia.